A mountain lover and a traveller. And moreover, a person who has quite a few memories to share. This is the story of Nitish Thakur, who recently came back from his Iceland trip with the beauty of the auroras imprinted in his heart. He didn’t keep memories of them all to himself. He made it sure to capture them all with his camera. To tell stories forever, to all. A computer engineer by education, Nitish received his degree from the Punjab Technical University. Since 2013, he works as an administrative officer at United India Insurance in Jhansi. Sometimes a picture can tell a story worth a thousand words. While we were in search of our next ‘Explorati’, Nitish Thakur won our attention with his Instagram feed. His pictures are indeed a work of art. With pictures of mountains, snow and the valleys, his deep love for the mountains is apparent. 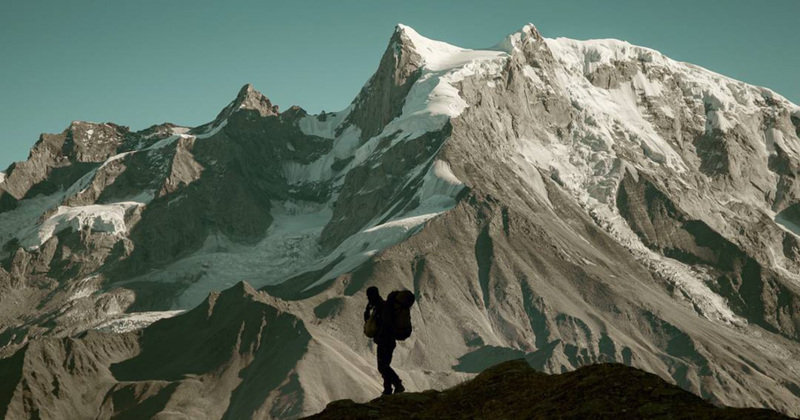 “Mountains are like that, you will get addicted to them. Once you have been there, you are bound to go there again” Nitish said when we asked about the story behind this love for mountains. For Nitish, it was not until 2015 that he actually decided to pack his bag for a trip.It was a spontaneous decision triggered by a 10 min video of a traveller on Youtube. His first trip was a bike ride to Leh. At the last moment, everybody backed out. But that didn’t stop him. He went to Manali, booked a bike and rode to Leh. During that journey, he met a group of people who were also on a bike trip along the same route. Many of them, like Nitish, started out as solo travellers and then met others on the way. It was a group bound not by nationality, race, or language but by pure wanderlust. Nitish travelled with them for the next 15 days and visited Leh, Pangong, Nubra Valley, Turtuk and Hanle. For Nitish, the best thing that came out of that journey was the people he met along the way. After the trip to Leh, the love for mountains hit him. Two months later, he went on a bike trip but this time to Spiti, starting from Chandigarh to Manali, Kaza, Kibber, Lahaul, Ki and all the way back to Chandigarh. And it’s not just bike trips, He has also been on treks like Dodital and Darwa pass to name a few. The last time Nitish went for a trek, it was to Bali Pass. The truth is, it’s not very easy to balance family and travel. With all the dangers of travelling to the mountains, it’s even harder for people like Nitish. When you’re working away from home, family expect you to come home when you plan to take a break. So you manage your days in a way that you can spend some time with family and some for travelling. But the situation can be a little tricky sometimes. “There is an inherent risk involved with travelling at high altitude and convincing my family for my first trek was not easy but now they’re used to it. Acclimatization is happening for them also’’. And using public or shared transportation during your travels. It made a huge difference in my budget. And our little talk ended with a small quote from Nitish.